The Cenk Bey Hotel is in a perfect position just 200m from Calis Beach and 5 km from the heart of Fethiye on the coast of Turkey. This is a great value hotel for couples and families with shops and restaurants just steps from the hotel and 45 attractive guestrooms surrounded by lush gardens and overlooking a sparkling swimming pool. 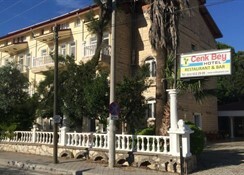 Book the family-run Cenk Bey Hotel now to experience some true Turkish hospitality! 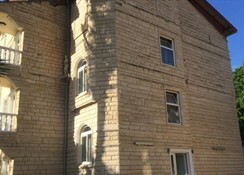 Dalaman International Airport (DLM) is 42 km from the Hotel. Local Tips - Calis beach is very popular with the Brits and a great place to enjoy an evening cocktail with fabulous sunsets at one of its cafe bars or restaurants, set along the beach promenade. 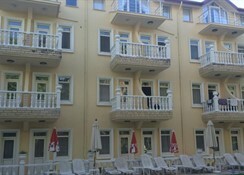 The centre of Fethiye is easily reachable by local minibus (dolmus). The Blue Lagoon of Olu Deniz can also be reached by local dolmus (approximately 12km). Food, drink and entertainment: Half Board accommodation - breakfast and dinner are served in traditional Turkish buffet style in the main restaurant. A pool bar serves drinks and snacks throughout the day and evening. Additional: Reception with safe deposit boxes (payable locally), lobby with Satelitte TV and library corner, free Wireless Internet access. 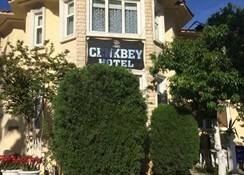 The Cenk Bey Hotel features 45 standard rooms, with a double or twin beds (a 3rd person maybe added on a foldable extra bed) all with a private bathroom with WC, shower, direct dial telephone, hairdryer, split air conditioning (payable locally), and balcony or terrace.